For today’s ‘Flashback Friday,’ I selected the photos of coco bowls obtained in Hawaii a few years back. 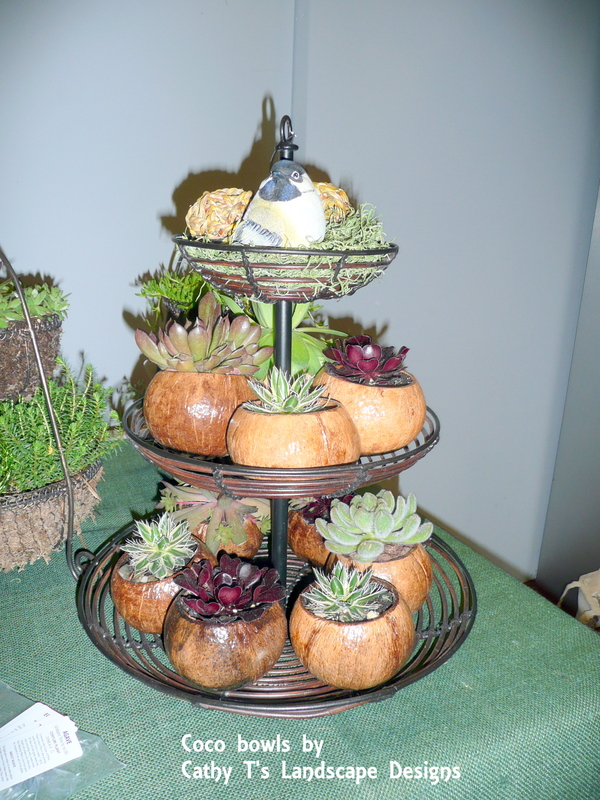 Little succulents, such as Hens and Chicks (Sempervivum), were carefully inserted into the coco bowls. A single hole was drilled into the bottom of each bowl to allow water to drain out. See these cacti plants above – Well, guess what? – They are still growing in the coco bowls after, I think at least 4 years. For the life of me, I can’t recall the name of the plant – but I will come across it in my books in no time to share with you, but this plant has as sharp tips as you can imagine on the tips – Literally, it could be a weapon. 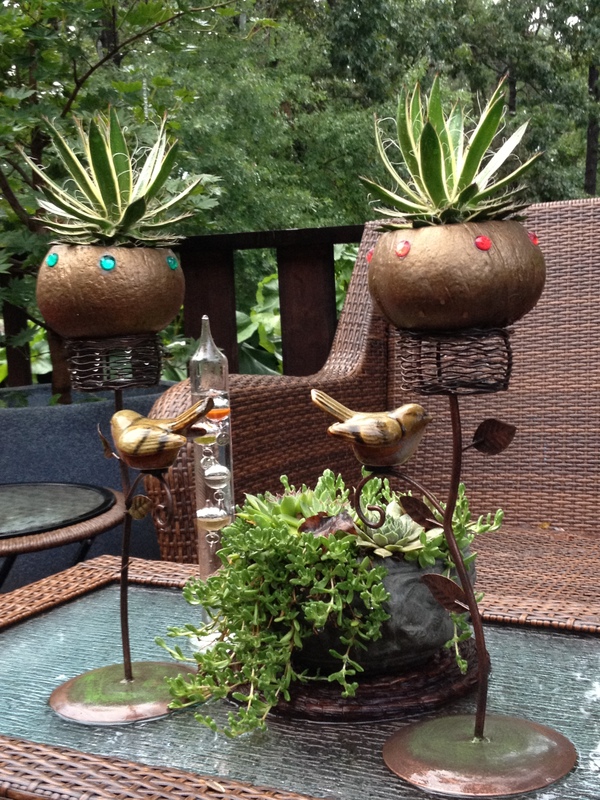 Update: I located the plant tag for the Agave in the two coco bowls shown above: Agave schidigera ‘Shira ito no Ohi’ — No wonder I couldn’t remember! That’s a long cultivar name. A century plant, and I do believe they could last a century. At the show, this is how I displayed a grouping of them. They sold very well. And, I could not part with a few for myself. The bowls themselves are a treasured item because it is a natural material and from a place I visited on a special journey several years back, on the big island of Hawai’i. Portulaca was put into one as well, but the hens and chick plants and other various succulents really fit better and looked better, in my opinion. 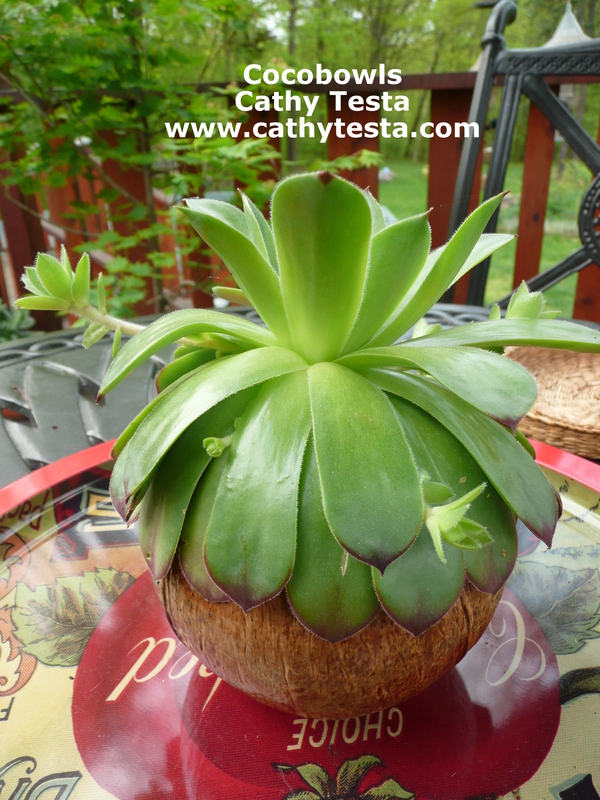 You may wonder how I watered them due to the plants top portion eventually covering the top of the bowl, and basically all I do is hold the coco bowl under the faucet and position it so the water runs into the bowl as much as possible, then let the excess drain out. 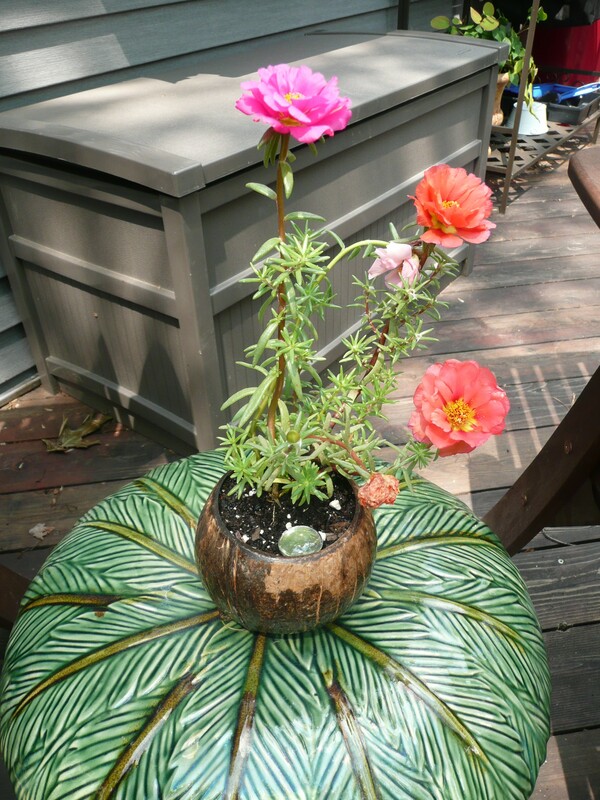 The coco bowls are truly amazing pots; they don’t rot, last a long time, are adorable to show and even hold. I wrote about our entire adventure to the island and posted it on my original website at the time of putting these together. It is rewarding to look back at the memories, especially the “lava” boat story at the end of my e:Publication. Check out the photos – what a blast. 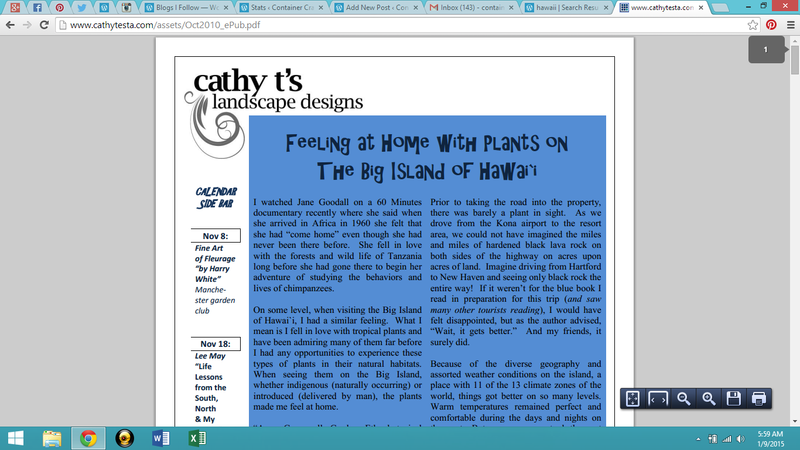 Hey, fellow garden bloggers – Want to join me on this idea? Share your Flashback – I’d love to see it. ← Have you been to the Chicago Flower Show? Coco bowls: something new for me to learn about. Thanks, Cathy. It is always fun to take a trip down memory lane. Thanks Garden in a City!